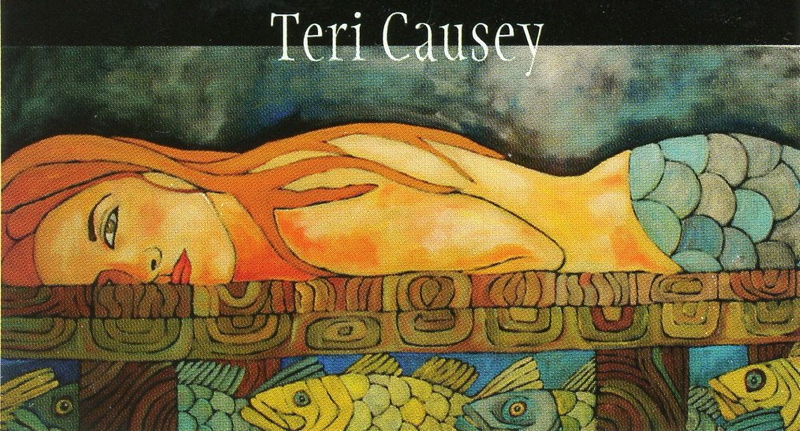 I met Teri Causey at the Sanibel Art Show in Southwest Florida in 2014. Her work is very fanciful, and we enjoyed viewing her gallery at the outdoor event on Sanibel Island. This image is painted on wood and finished with marine varnish. I scanned it from her business card, which explains the name on top.